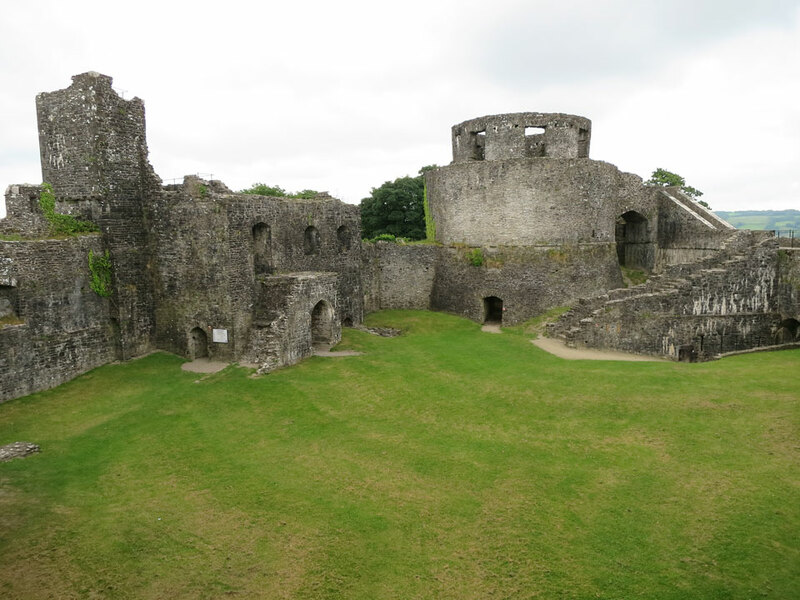 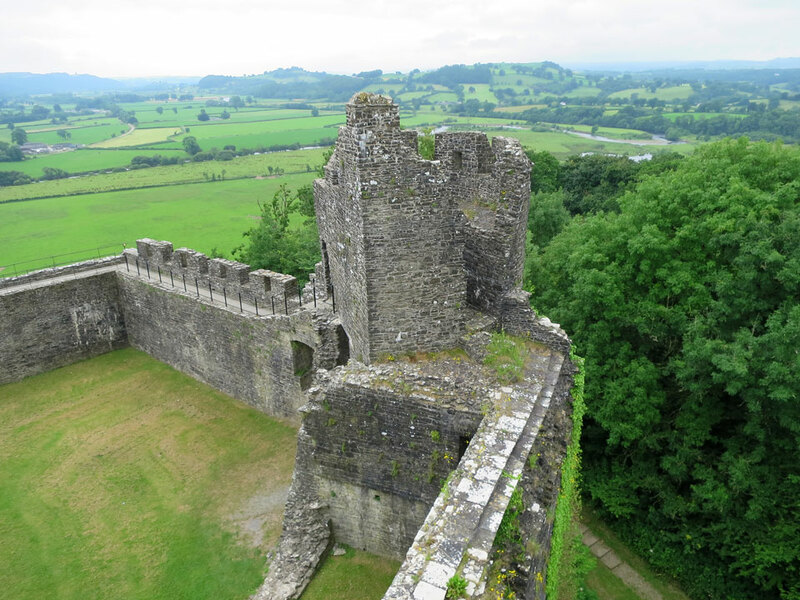 The first fortifications at Dinefwr were two Roman forts, now no longer visible. 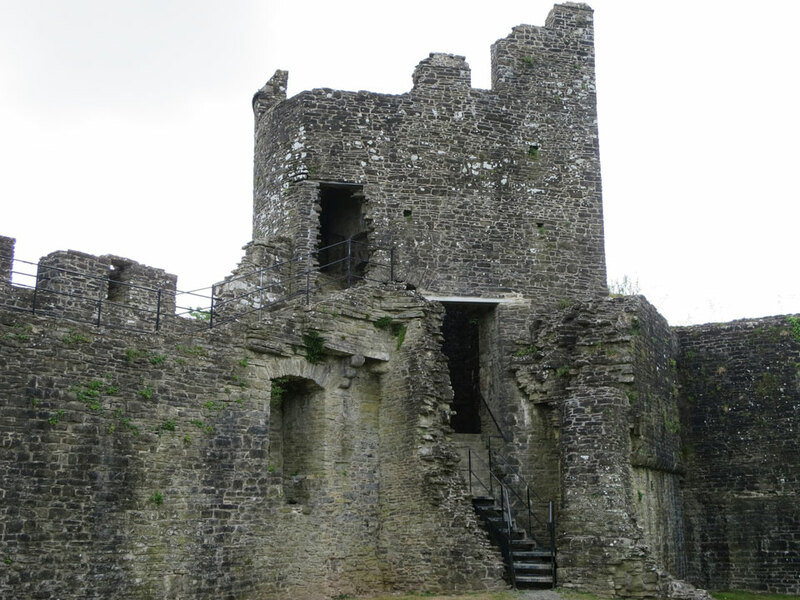 The castle was built at the end of the 12th century by Rhys Gryg, son of the Lord Rhys, as one of the main residences of the Princes of South Wales. 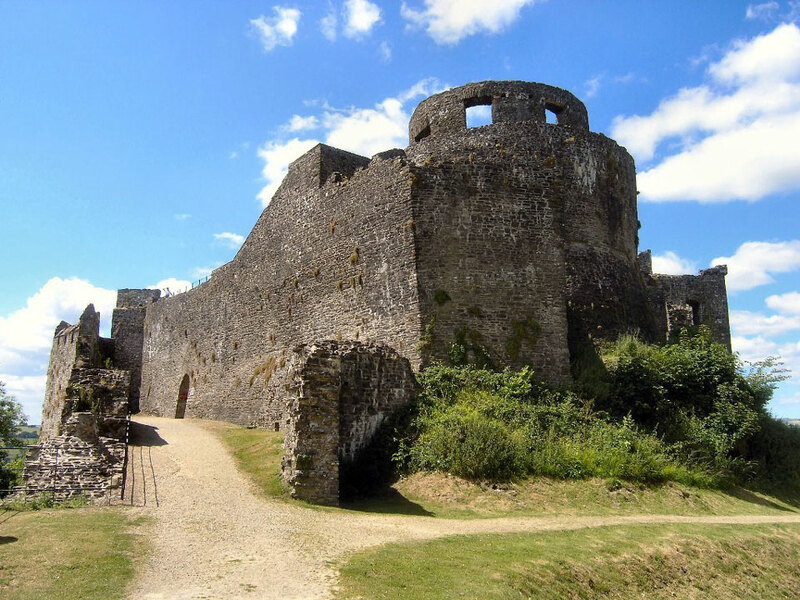 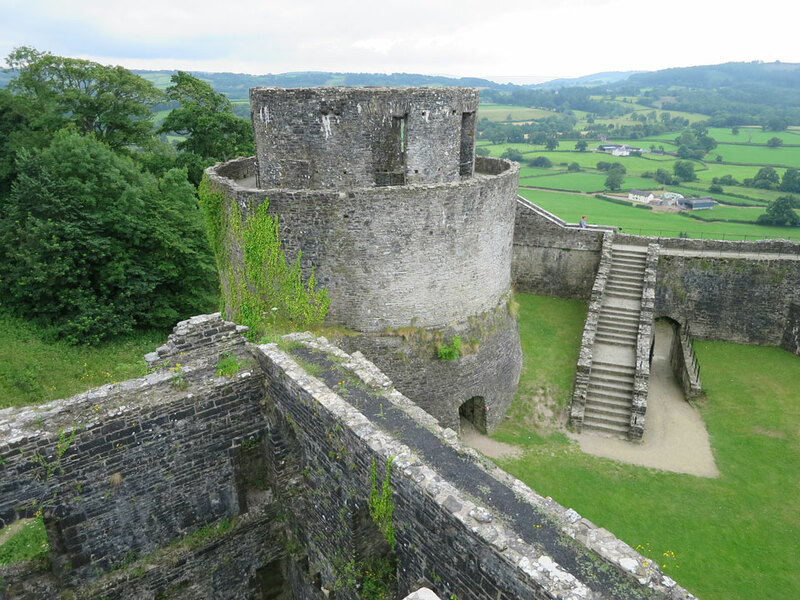 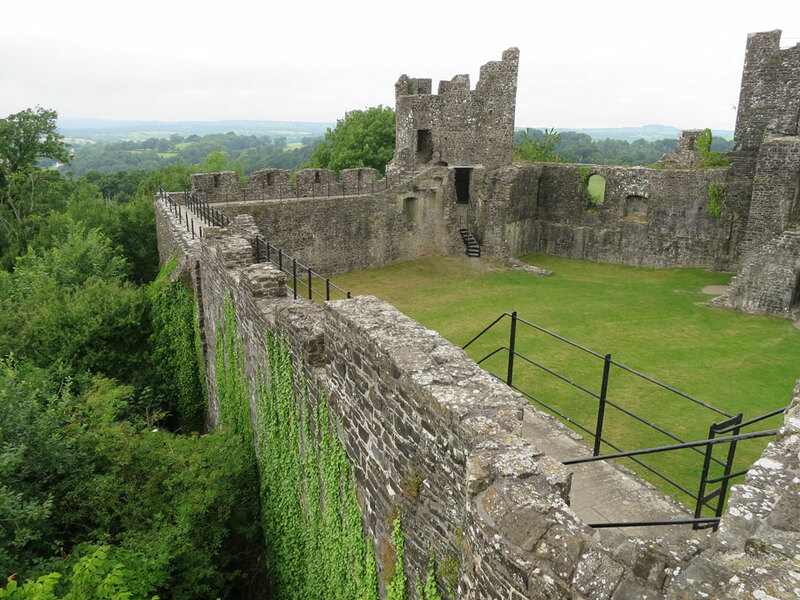 It sits high up on a hill overlooking the River Tywi, with ditches cut from solid rock to form a moat as an extra protection on the less defended sides. 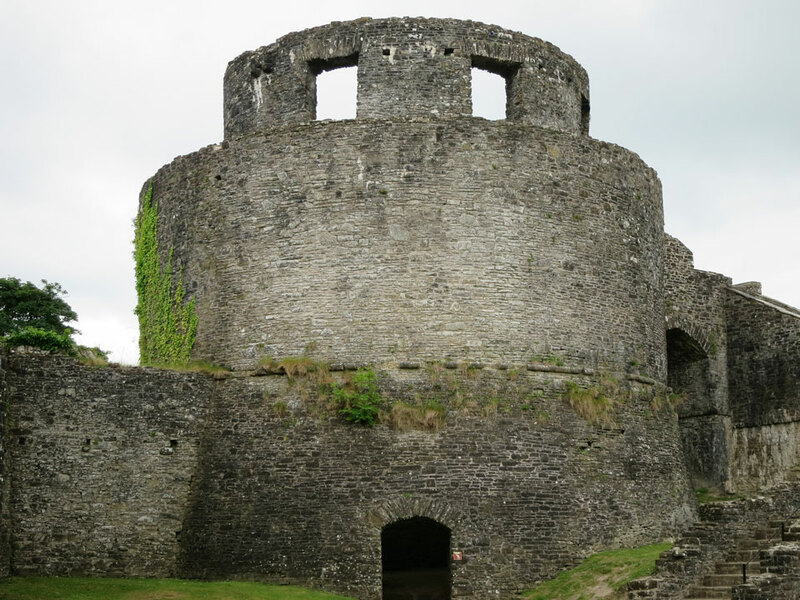 The round tower and much of the walls date from the early 13th century. 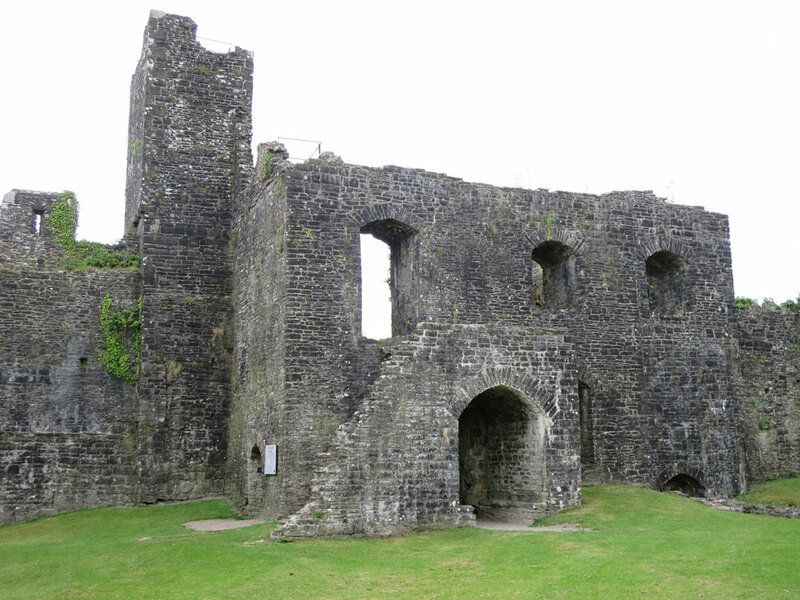 It was captured by the English in 1277 and used until the 15th century when it was abandoned and Newton House, a new residence, was built in the grounds. 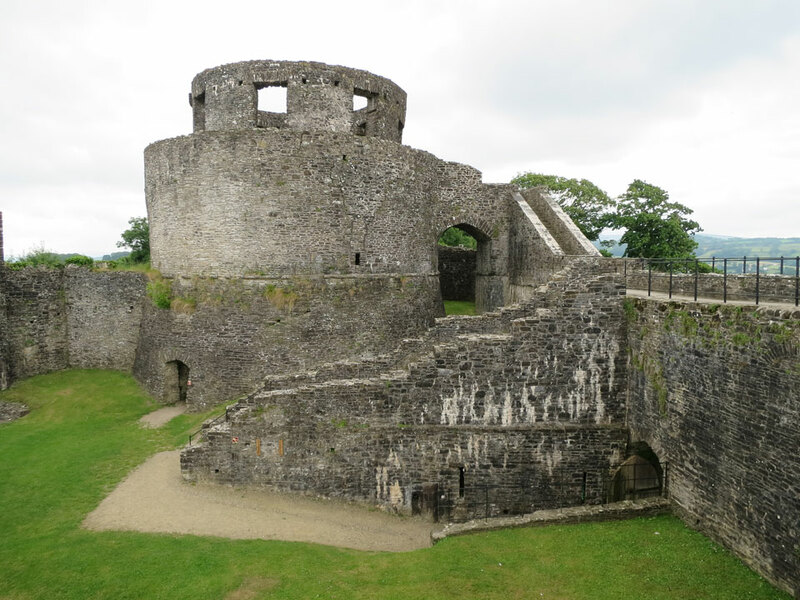 In the 17th century the castle was partially restored for use as a summer house and the structure on top of the tower was added. 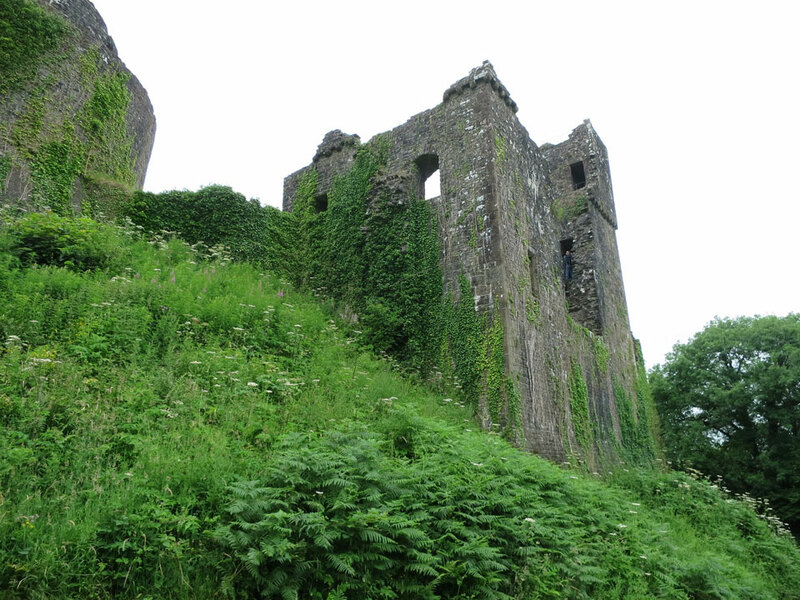 It was finally left to decay after being badly damaged in the 18th century. 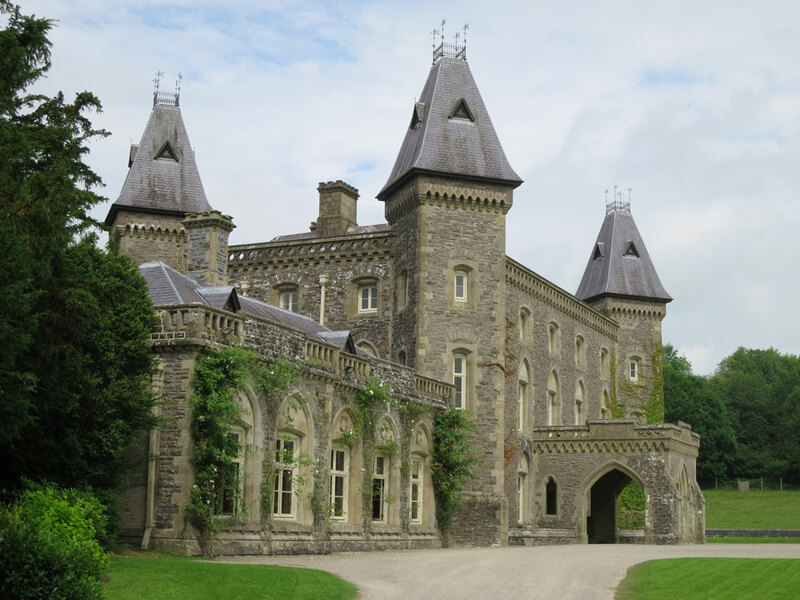 The current Newton House was built in the Jacobean style in 1660, though extensive changes were made in the 1850s in the Gothic style which is what you see today. 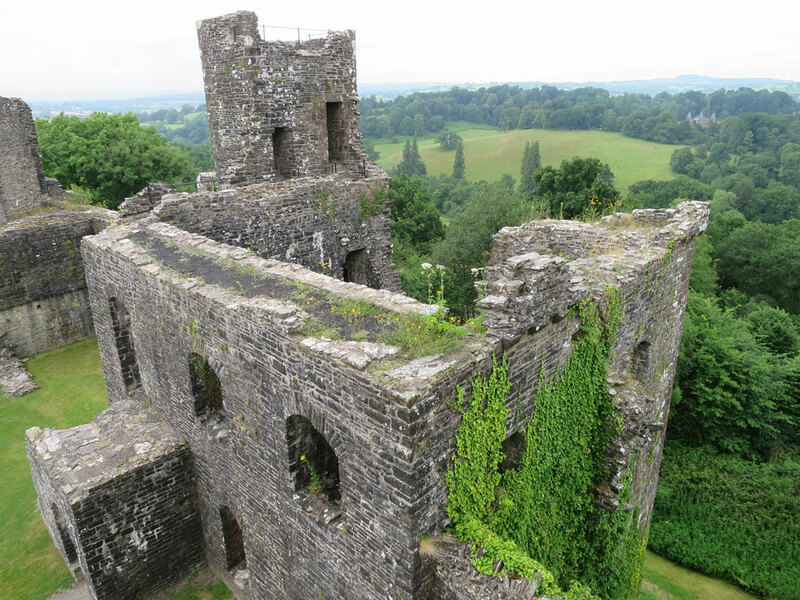 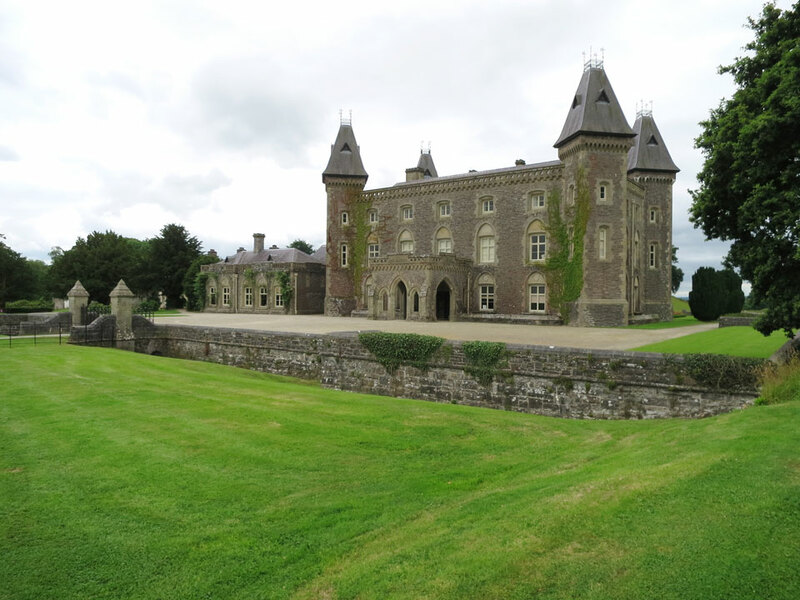 Dinefwr Castle and Newton House are both open to the public, managed by the National Trust.